Me, Jen, Sylvia & Tristan. I think every director dreams of being able to attend a screening of their film with their cast & crew in tow. For me that has been especially a challenge with one actor in England and the other in Canada. I have been fortunate enough to meet with Laurence R. Harvey at two screenings. I was beginning to think I would never get the chance to see it with Tristan Risk. That was before I saw the Rio Grind Film Festival pop up out of what seemed to be no where about a month ago. It's in Vancouver, where Tristan is from. I had heard of the Rio Theater a lot from her and jumped at the opportunity to submit the film. 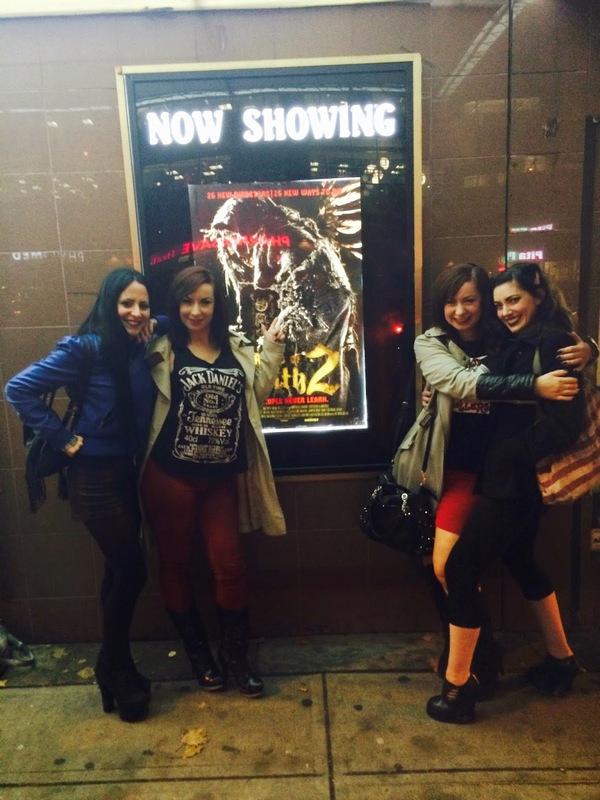 Vancouver is also home to the twin powerhouse directors, Jen & Sylvia Soska (American Mary). When I arrived last Friday afternoon Tristan and I met up with them and their composer, Kevvy Mental. All of us worked on the Soskas' ABCS OF DEATH 2 segment- which was making its Vancouver premiere at Rio Grind that evening. It was really special to see the film together. The short film program started Saturday afternoon and included lots of films CALL GIRL has played with in the past like - SHE, RUBY'S SECRET, SPLIT, NO PETS ALLOWED. It's a cool thing because my film feels like an extension of myself. I feel so connected with these other filmmakers, even people I've never met in real life. It's such an awesome and close community. My favorite short of the day (that I hadn't seen before) was EL GIGANTE by Gigi Saul Guerrero. OH!! We won our first award! Laurence R Harvey won Best Actor (short film)!! I am so proud!! Sunday Tristan took me on a lovely walk through Stanley Park. 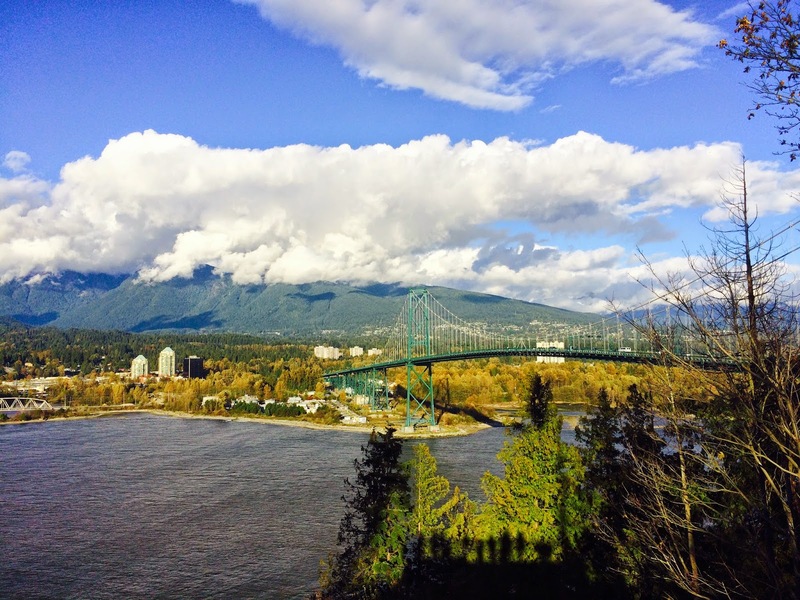 Vancouver is such a beautiful city. We passed a creek where they filmed a scene in the movie, IT. And we got lunch at this adorable place, Prospect Point Cafe, with an incredible view of the water and Lions Gate Bridge. Many films have been shot on that bridge including FINAL DESTINATION 5. I love that scene! Other highlights of the trip would be sushi, sushi and more SUSHI! I ate so much sushi! Everyday we got sushi! YUM! Thank you Tristan, Jen, Sylvia & Kevvy for showing me such a great time! Tristan, Jen, Kevvy, me, & Sylvia.